Shopping for Batman v Superman: Dawn of Justice Bookmarks? What happens when an immovable object meets an unstoppable force? Batman v Superman: Dawn of Justice happens. Show your allegiance to Superman in the epic showdown every time you sit down with a good book (or a bad book, we won't judge) with this collectible bookmark featuring an image of the Man of Steel. 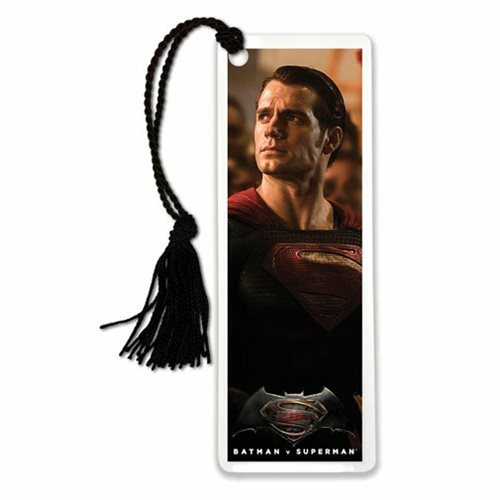 The Batman v Superman: Dawn of Justice Superman Bookmark measures about 6-inches tall x 2-inches wide. Ages 13 and up.